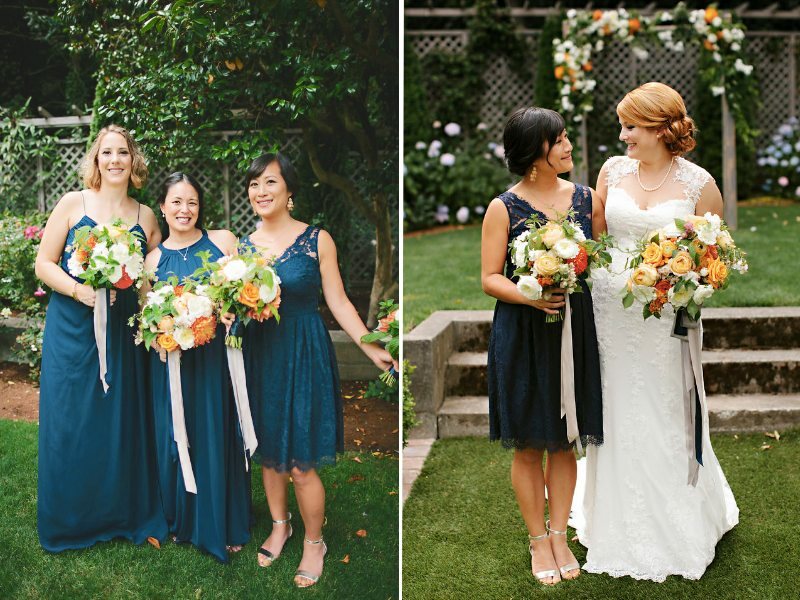 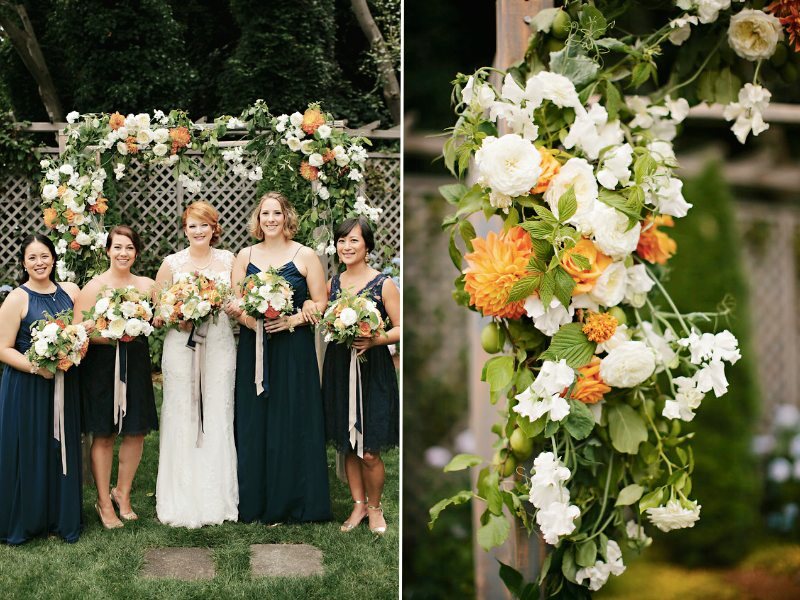 This was such a delightful wedding to plan because Annie is an old friend from college. 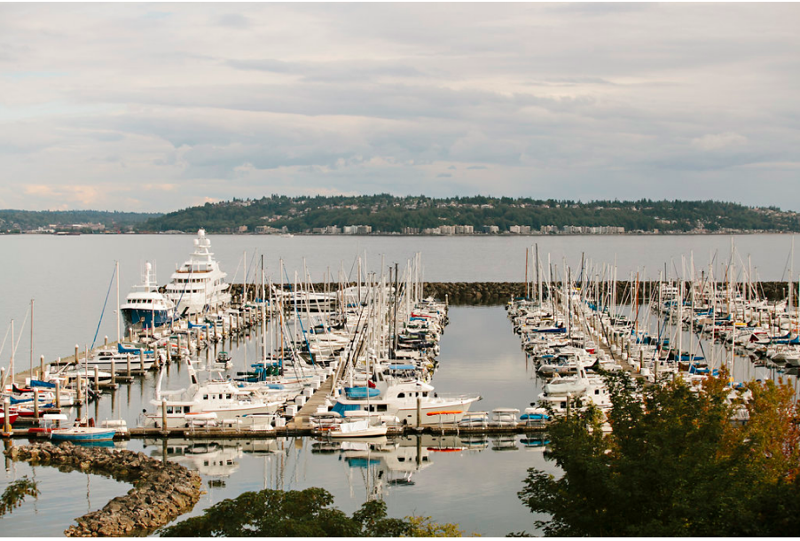 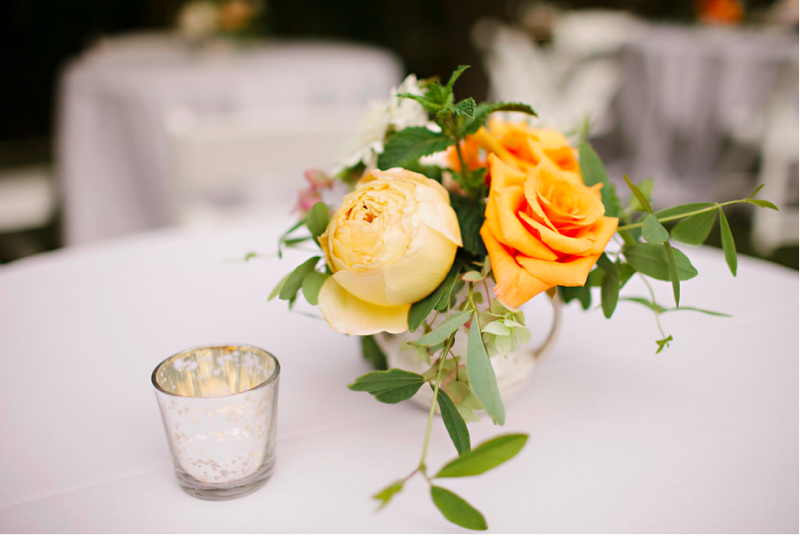 We met as Freshmen at The University of Puget Sound but had only stayed in touch via social media in the thirteen years since graduation, so it was lovely to hear that she was getting married and would like my help with the planning and decor. 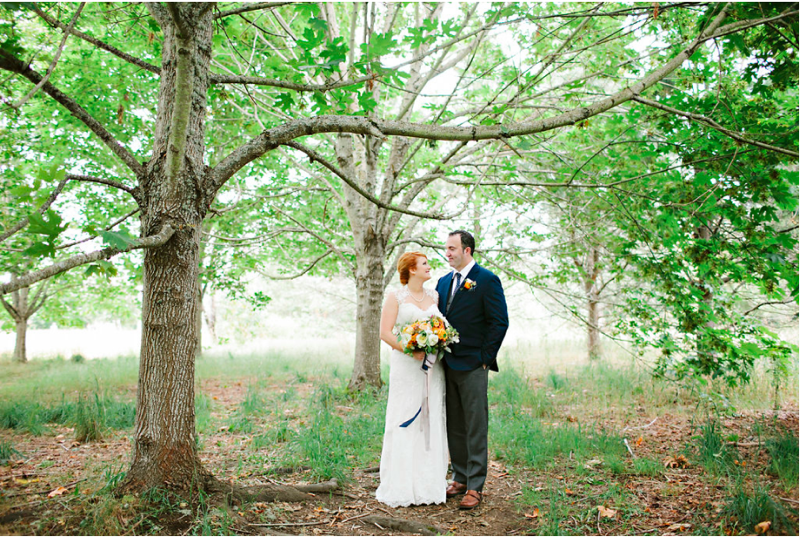 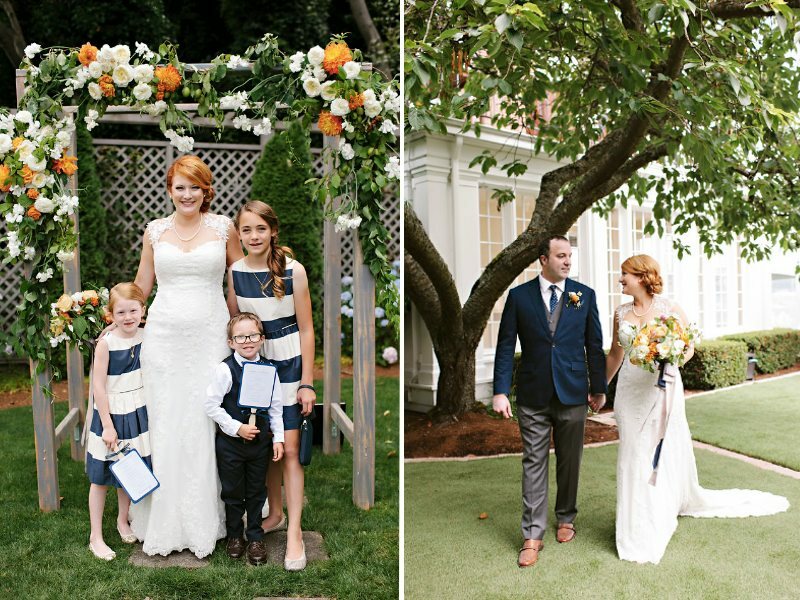 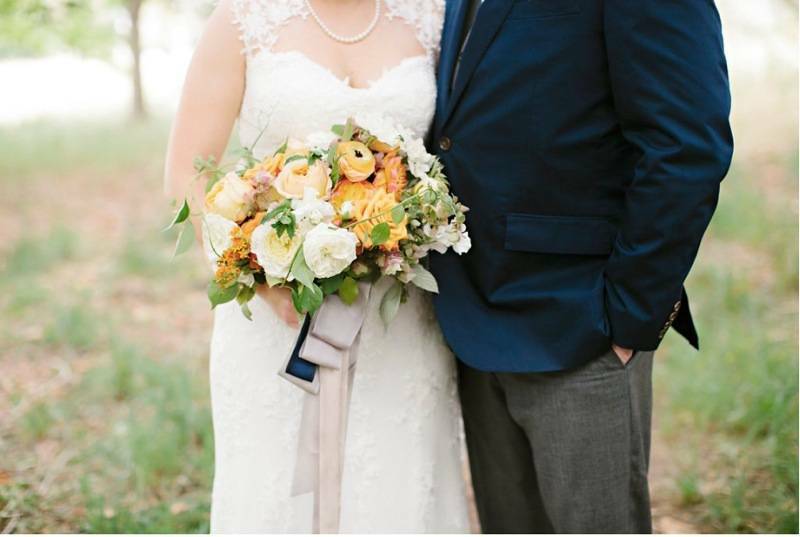 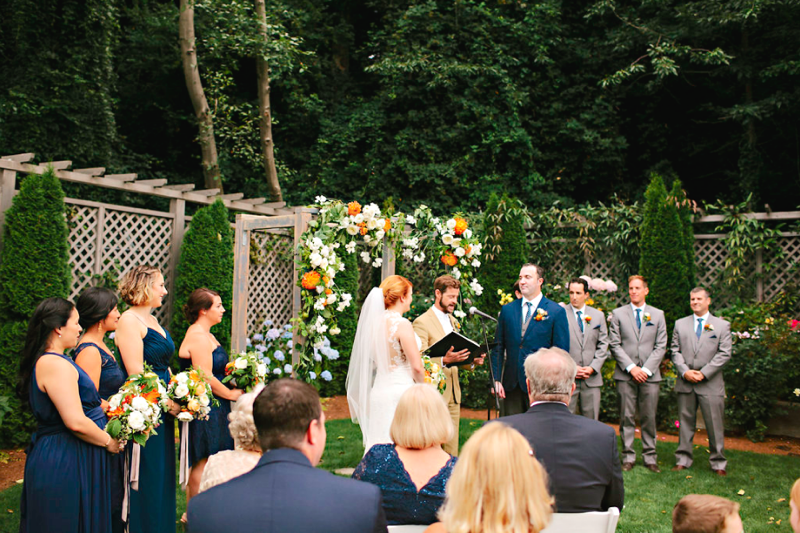 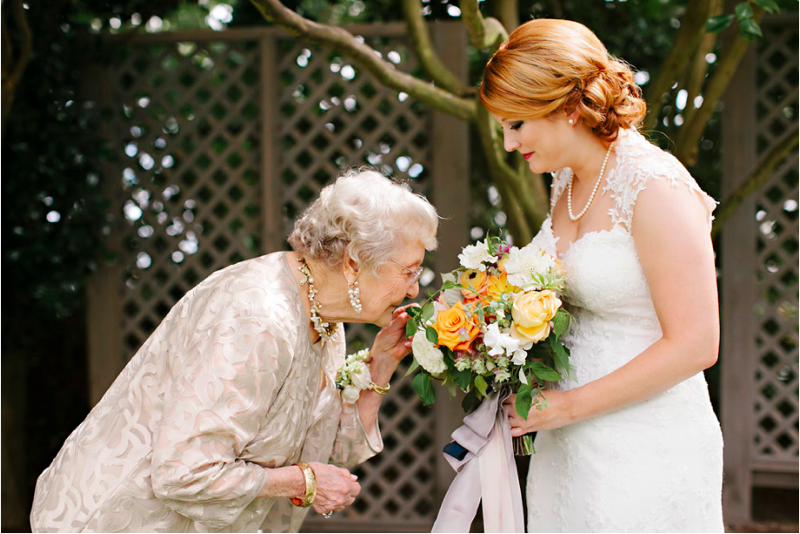 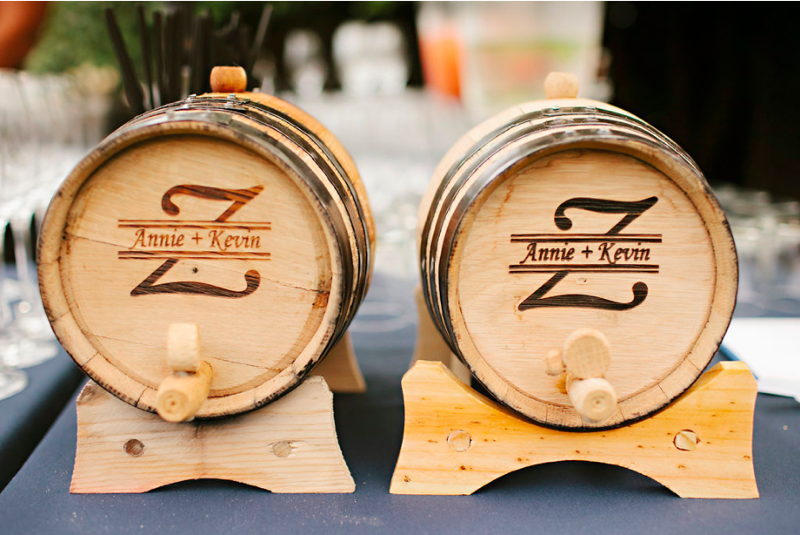 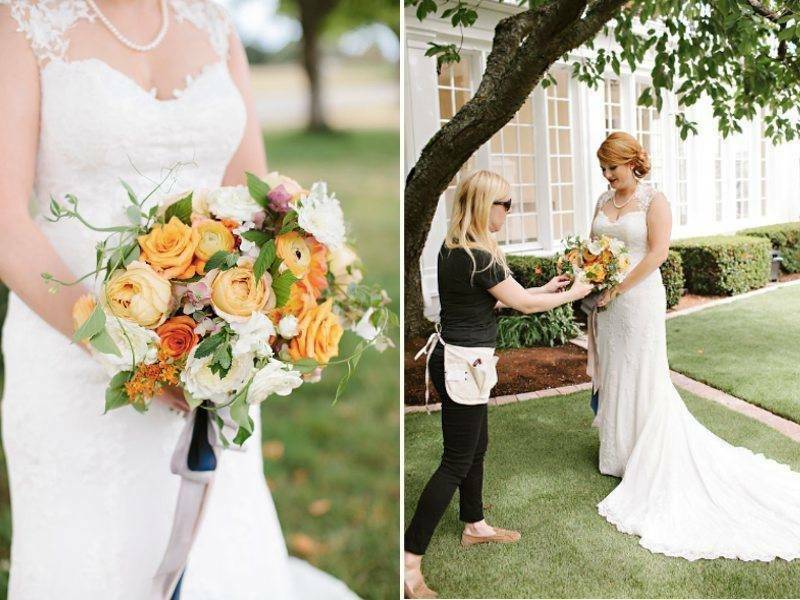 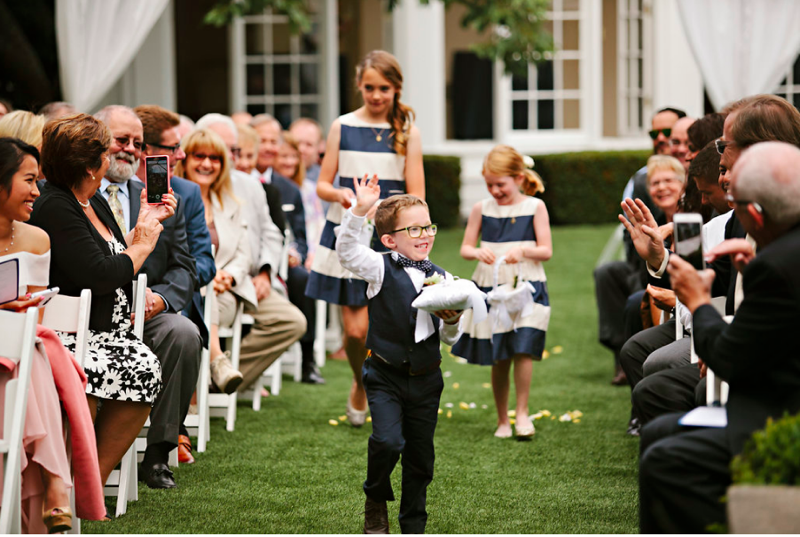 Annie and Kevin were married last July at The Admiral’s House in Magnolia. 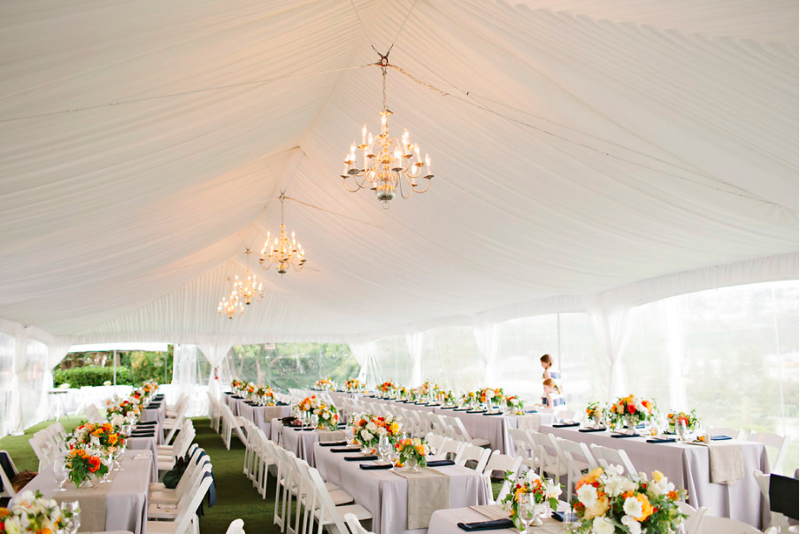 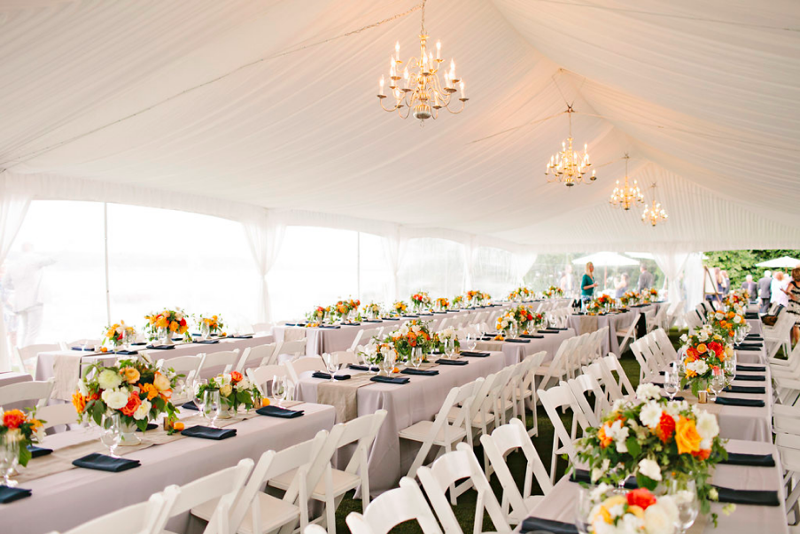 With some dubious weather on the horizon, we played it safe and ordered a clear tent for their garden ceremony and a marquee for the reception on the front lawn. 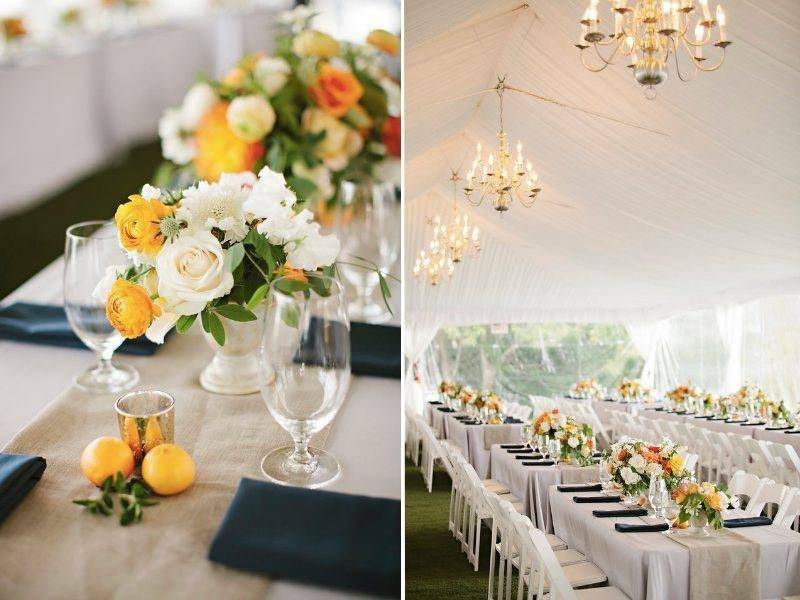 Annie wanted brighter pops of color and a small nod to a nautical theme which inspired the gorgeous, raw linen napkins and runners in navy and taupe which we layered over a very pale grey tablecloth. 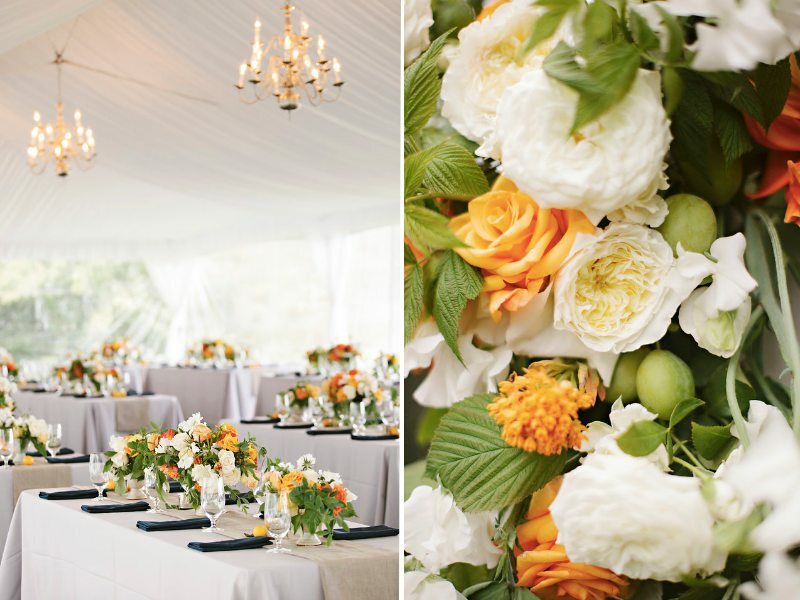 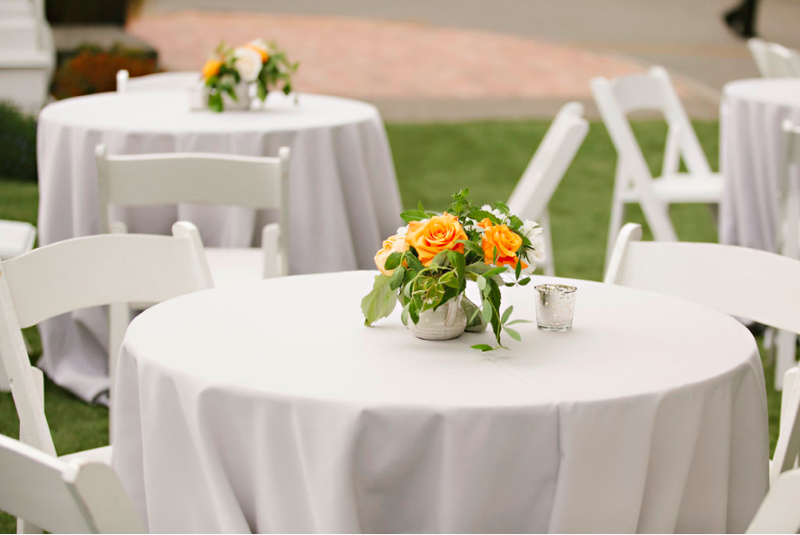 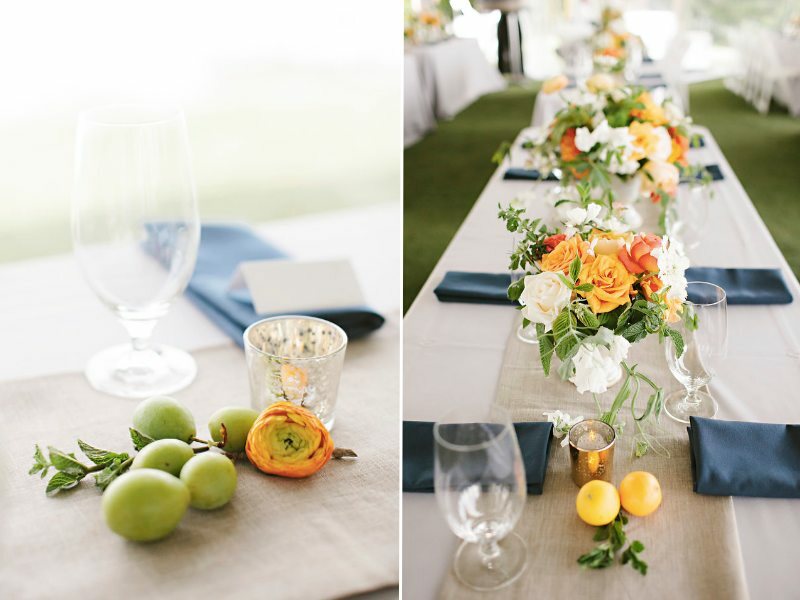 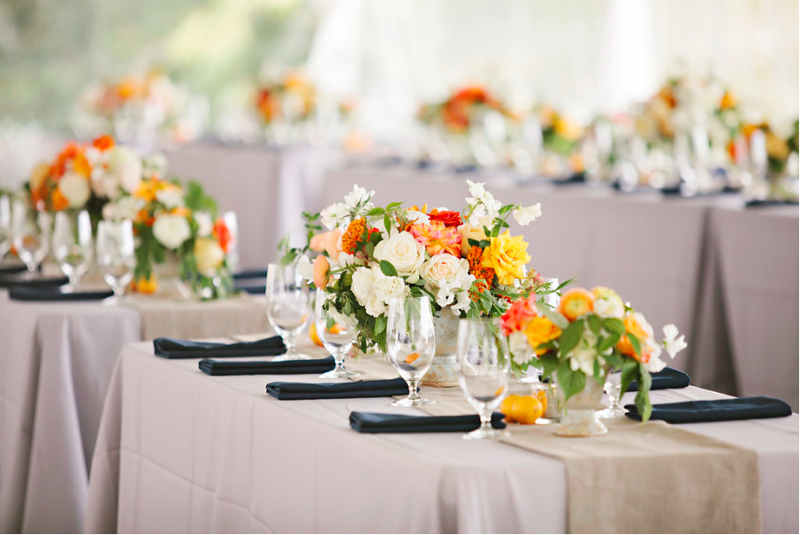 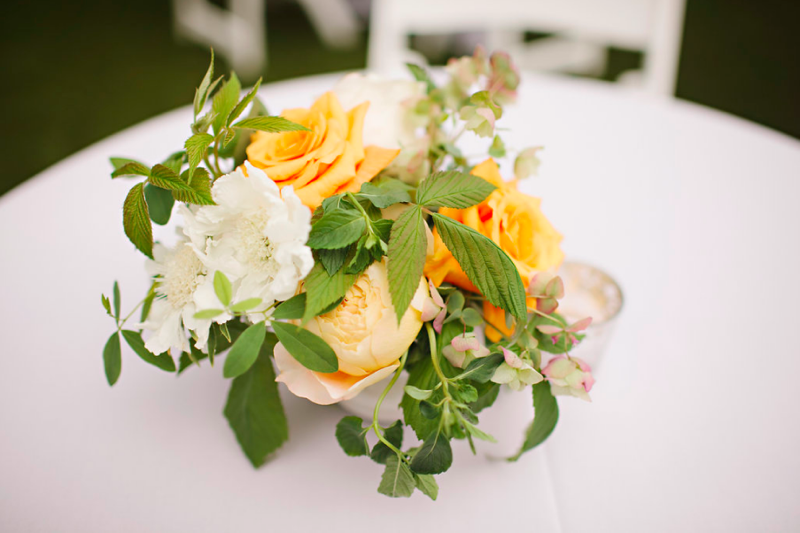 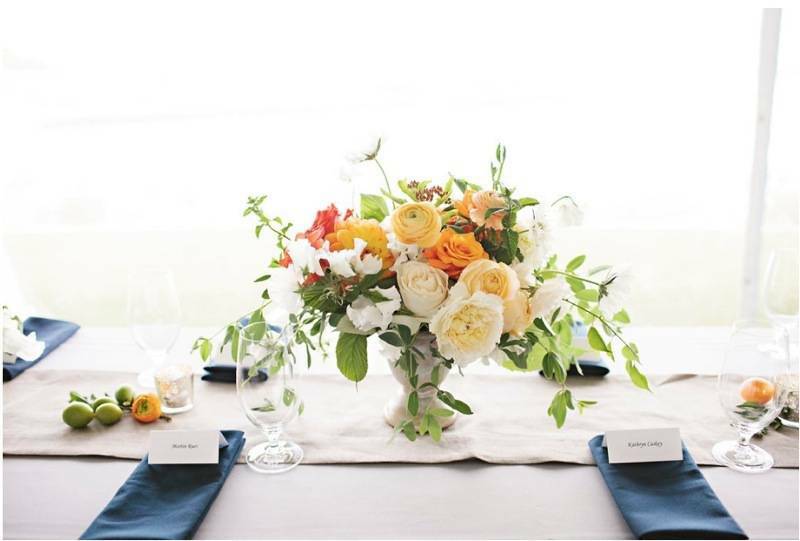 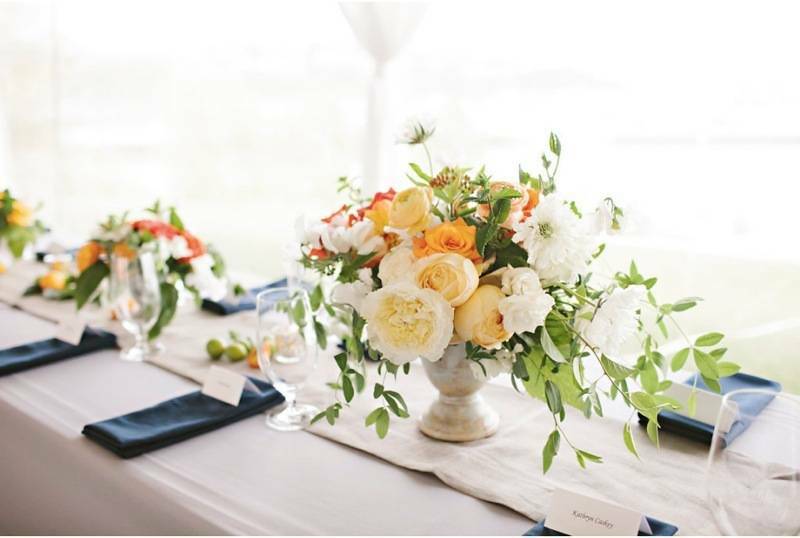 To add some vibrancy to the flowers, we added orange dahlias and tangerines in the tablescapes. 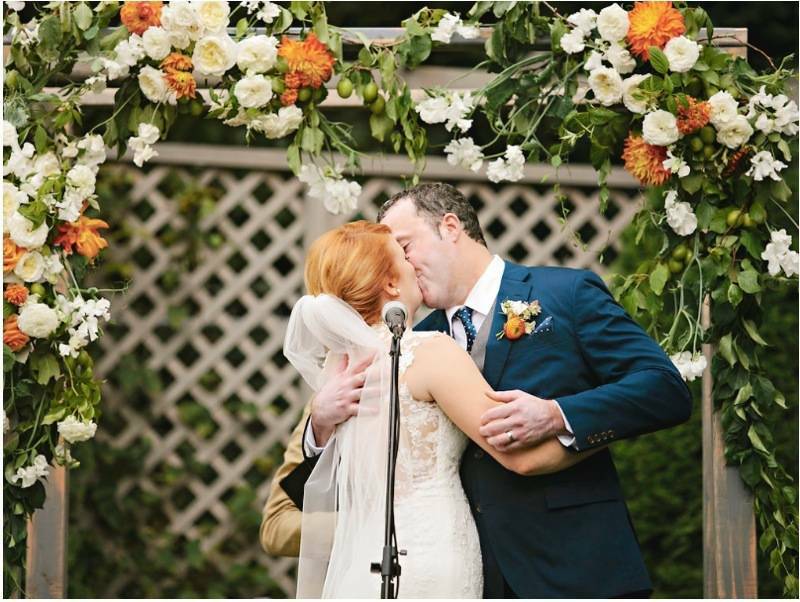 My favorite part was creating the ceremony arbor which we covered in green plum branches, sweet pea vines, garden roses and dahlias. 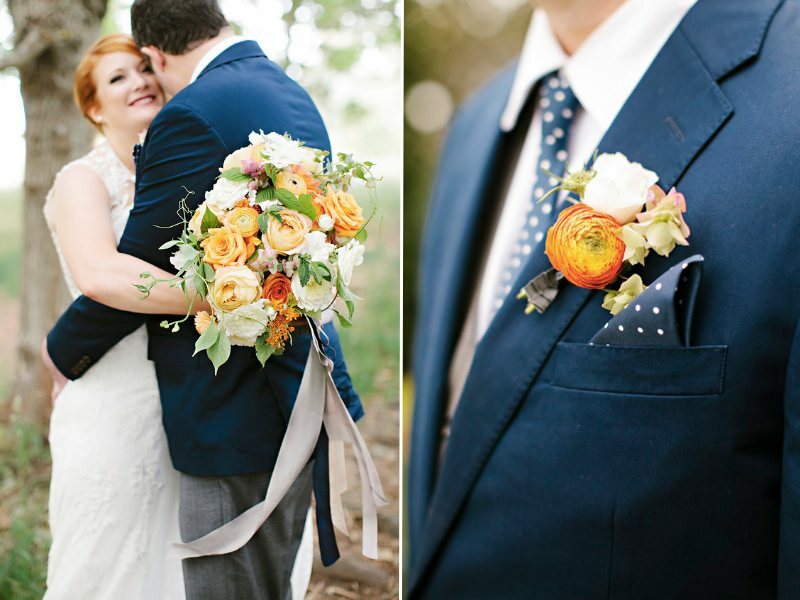 Julie Harmsen took these lovely photos.